Reiki is all about you! Although in many circles, Reiki is seen as basically a hands-on healing system, a complementary therapy, something that you do to other people, it hasn’t always been like that and if your Reiki is mainly about working on other people then you really are missing out on a system that has the potential to transform your life in so many ways! If we go back to the origins of the system and Mikao Usui’s original teachings, treating other people didn’t feature a great deal at all: it was all about working on yourself. We know that the word ”Reiki” wasn’t used by Usui, and that he referred to his system as a “method to achieve personal perfection”, so that gives us a big hint as to the main thrust of his system: working on ourselves. 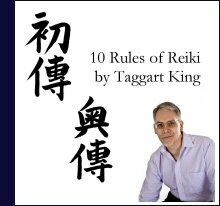 And I know that most Reiki systems will include hands-on self-treatments, and the precepts will be referred to, but there’s a lot more to Usui’s system in terms of self-healing, and spirituality, and self-development, if we can embrace the original practices and make them the foundation of what we do with Reiki. What I’m talking about here are daily energy exercises and some form of self-treatment, I’m talking about the practice of mindfulness, and an ongoing focus on Mikao Usui’s original precepts. When taken together, these practices when carried out on a regular basis have the potential to make such a difference to people. Interestingly, I have heard some people saying that it’s a bit selfish to use Reiki on yourself, that you should be spending your time working on other people, and I don’t agree with this of course: it seems a very strange belief to choose. Firstly, by treating other people you are also benefiting from the energy that you are channelling, so there’s no way of separating out the energy so that it’s only benefiting the person you’re working on, and ignoring you. Secondly, if we are following the Reiki system, following the precepts that deal with compassion and honesty, then how can we neglect ourselves? How can we deliberately refuse to nurture ourselves, refuse to give ourselves that special space in which to heal and balance? I know it can be scary sometimes having to deal what’s holding us back in our lives, and change can be frightening, but it’s only by striving to be the best person that we can be – by letting go of emotions that are stifling us, by allowing the energy to heal us on all levels – that we can truly help others in the most powerful and positive way, because we can then channel the energy from a place of composure and mindfulness, a still calm vessel for the energy, channelled by someone who is a living embodiment of the many blessings that Reiki can bring into our lives. So be an advert for what Reiki can do for you: work on yourself, let go of anger and worry, embrace compassion and forgiveness for yourself and embody the benefits of this wonderful system. 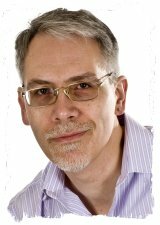 As always, a very pertinent and also, I feel, timely post by Master Taggart ;-D.
At a time when such a huge energetic shift in consciousness is taking place and the material world is in such chaos, we need to have channellers of energy who are as cleared of their own ‘gunk’ as possible. This means therefore, working on a deep level on themselves and a huge part of this is working on the ‘I am not good enough’ or ‘I am not deserving’. I am a great believer in ‘physician, heal thyself’ ….even though I believe that you can heal but still hold the scars as reminders…. but healing yourself as much as possible first and foremost, is the primary route to aiding the healing of others. I’m not saying it is easy (because I don’t think it is, AT ALL….) but I do think, that if healing others is your main priority, that it is necessary. Reiki, as is my understanding, is a fundamental, universal energetic route to self-healing, but through this self-healing, we can aid the self-healing in others, because we are all energetically connected. added : WHEN YOU SERVE, YOU LEARN MORE AND BETTER. That is what I endeavour to do. I am very happy to be one of your students.